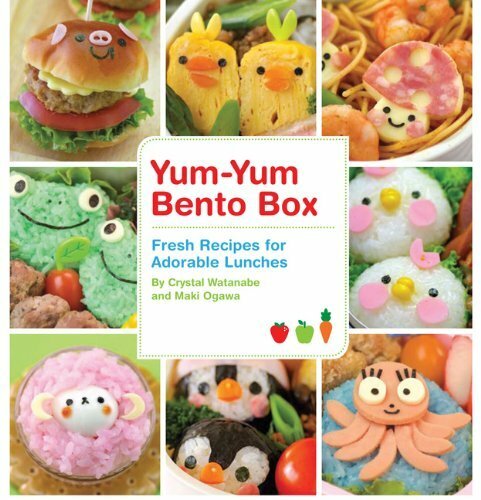 I was recently contacted to see if I'd be interested in receiving a copy of Yum-Yum Bento Box: Fresh Recipes for Adorable Lunches to review on my blog. Being that I absolutely adore both Pikko's and Maki's blogs, I ,of course, had to say yes! I have spent several hours going over the book and marking things we just have to try in our boxes. From the cover alone, the octopus, frogs, yellow chicks and piggie sandwiches are all on my list of things we need to do. 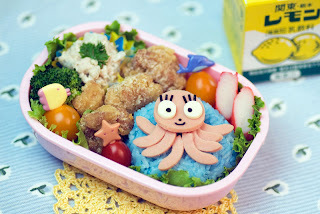 Inside the book are simply amazing bentos. 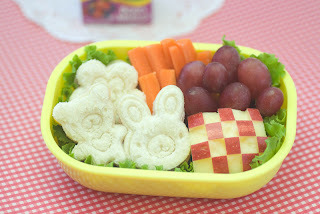 Pikko & Maki do a wonderful job of walking you through, step by step, how to create the cute element of each box, then suggesting ideas of wonderful foods to go along with them. They even include the recipes if you wish to duplicate the boxes. With the directions, a lot of the meals are much more manageable (I'm a big fan of instructions). Plus, everything is just so cute, why wouldn't you want to penguins or piggies instead of plain food? My favorite point, I think, is that their step by step directions allow you to follow their patterns with slightly different foods. 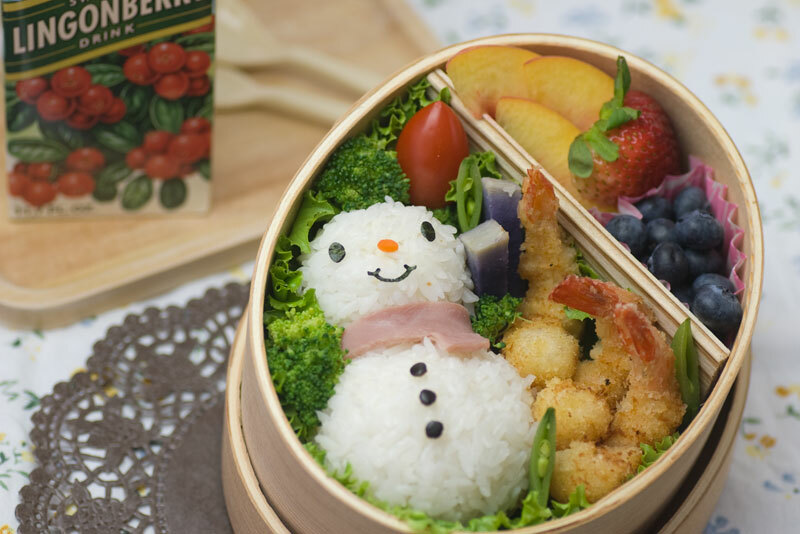 We may not use a lot of rice in our bentos (F&B prefer it directly out of the steamer), but tons of the ideas could be adapted for a roll or biscuit or pasta salad, really anything you want! There are simply so many ways of using their ideas to make the cutest lunches for your kids (or you!). As usual, Faith loved it too. She has gone through it multiple times, pointing out everything she'd like Mommy to make for her. This is not surprising, the girl is all about cute! Disclosure: I was provided with a complimentary copy of Yum Yum Bento for the purposes of this review. The opinions expressed in this review are completely my own. No additional compensation was received.